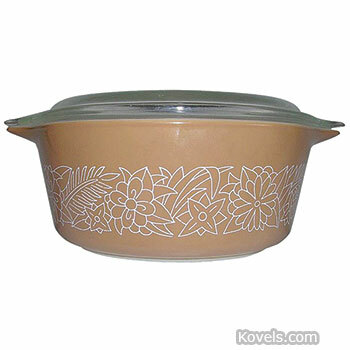 Pyrex glass baking dishes were first made in 1915 by the Corning Glass Works. 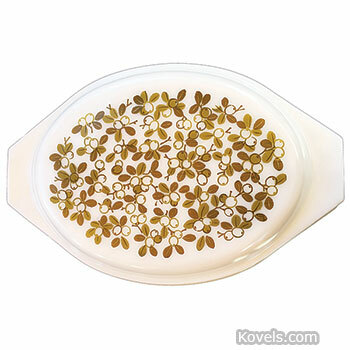 Pyrex dishes are made of a heat-resistant glass that can go from refrigerator or freezer to oven or microwave and are nice enough to put on the table. 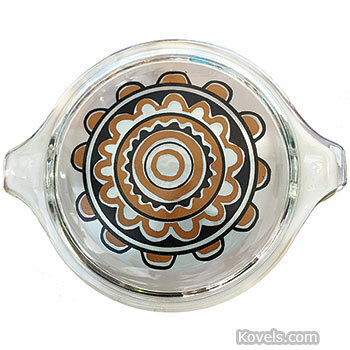 Clear glass dishes were made first. 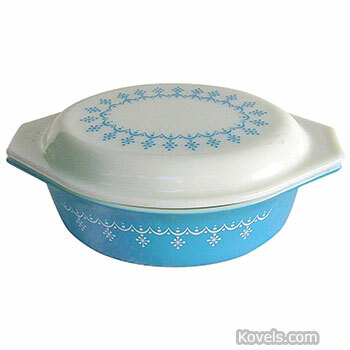 Pyrex Flameware, for use on a stovetop burner, was made from 1936 to 1979. 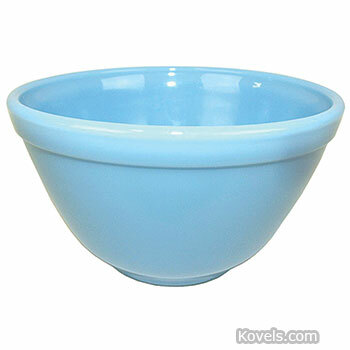 A set of four mixing bowls, each in a different color (blue, red, green, and yellow), was made beginning in 1947. 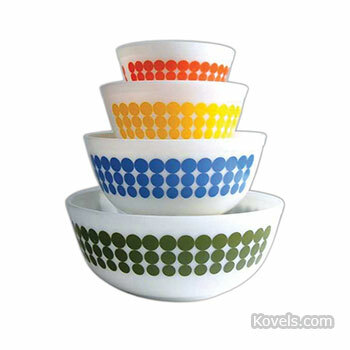 The first pieces with decorative patterns were mae in 1956. 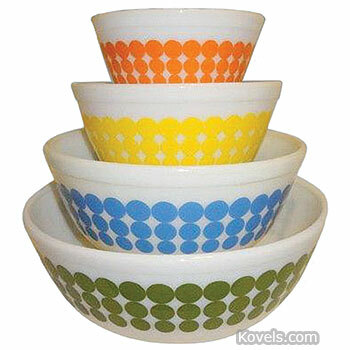 After Corning sold its Pyrex brand to World Kitchen LLC in 1998, changes were made to the formula for the glass.